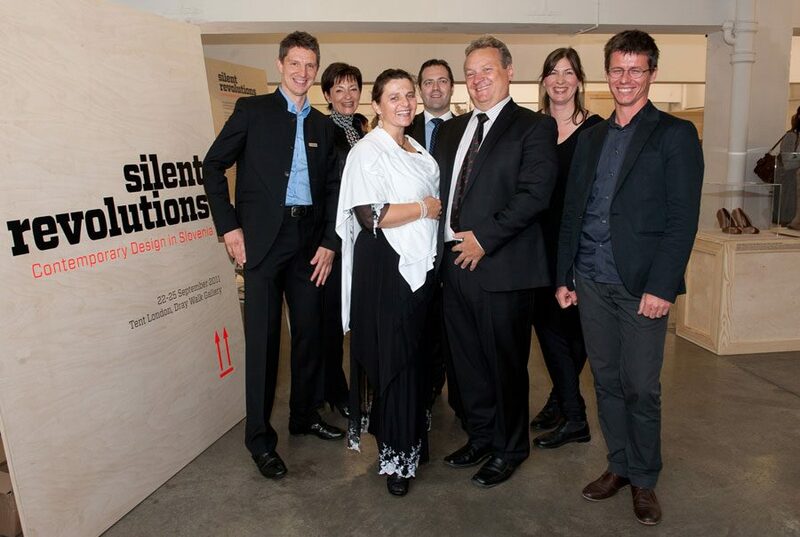 Last night, the exhibition of contemporary Slovenian design, Silent Revolutions, was opened in London. Opening the event was the Ambassador of the Republic of Slovenia in London, His Excellency Mr. Iztok Jarc. Gorenje, the Slovenian manufacturer famed for its creative and inspiring appliances, plays an integral role in the exhibition with its representative Simplicity line. 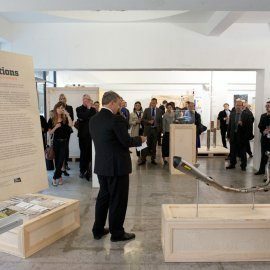 In his opening speech, the ambassador pointed out that the exhibition was a result of close cooperation between partners from the Slovenian public and private sector. He also described the initiative for the international presentation of Slovenian design as a project based on the proud tradition of Slovenian industry. With the Silent Revolutions exhibition, part of the Tent London design festival, Slovenian contemporary design was celebrated on an international scale for the first time. Slovenia already boasts several achievements and awards in international design circles, but according to the ambassador, with this exhibition it aims to gain greater recognition as a country of exceptional design. London, where design professionals from the entire world gather during the annual design festival, was a natural choice for the first stop on the long international journey to be made by the Silent Revolutions exhibition. 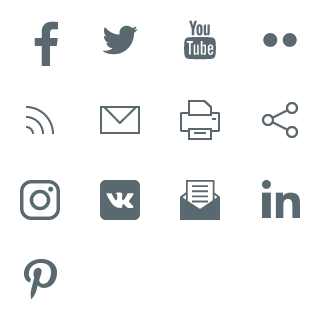 There is no doubt that it will be successful as it has been already placed among the best events of the 2011 London Design Festival and has made it to Icon Design Trail guide. Gorenje Simplicity line, displayed at the Silent Revolutions exhibition, is a line of select appliances distinguished by their particularly simple, economic operation, all of which is handled by a single dial with easy-to-understand icons for selecting preset programmes. 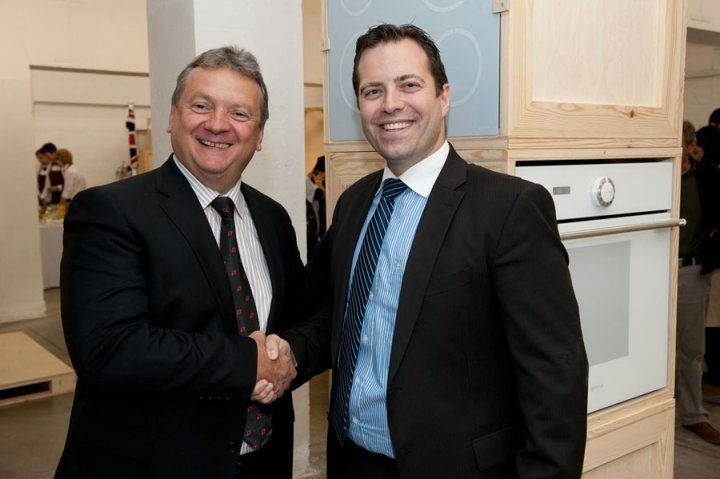 The Gorenje exhibit includes a Simplicity induction hob, built-in single oven and washing machine. As Lidija Pritržnik, Creative director of Gorenje Design Studio says, appliances of the Simplicity line deliver smart convenience, as well as energy efficiency, reasonable price, and minimalist design with clean surfaces of glass, polished aluminium handle, and visually distinctive ergonomically shaped central dial, a visual hallmark that unifies the appearance of the entire line. 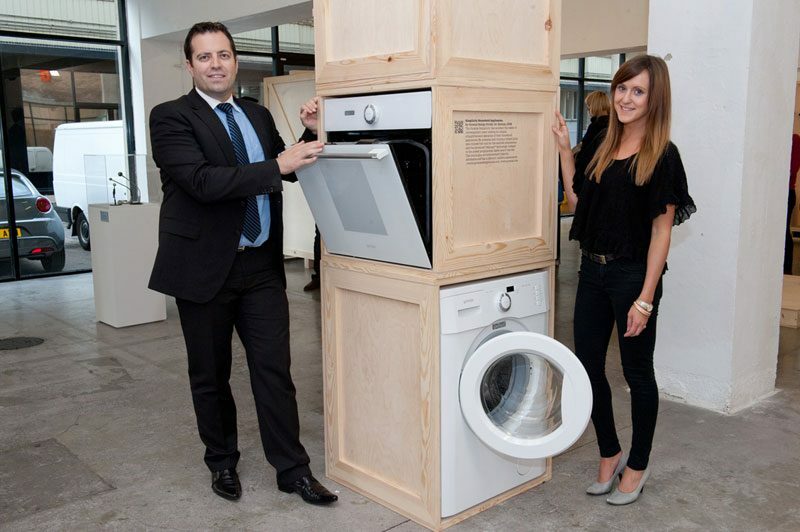 Jernej Hren, Managing director of Gorenje UK says: "The Silent Revolutions exhibition was a superb opportunity to demonstrate to the world the quality and creativity offered by Slovenian design, and so it was very important that Gorenje took part to acknowledge the role appliances play. Products must be practical and pleasing to the eye, and this is an idea that has been carried throughout Gorenje’s portfolio and the company's long-lasting tradition in design." 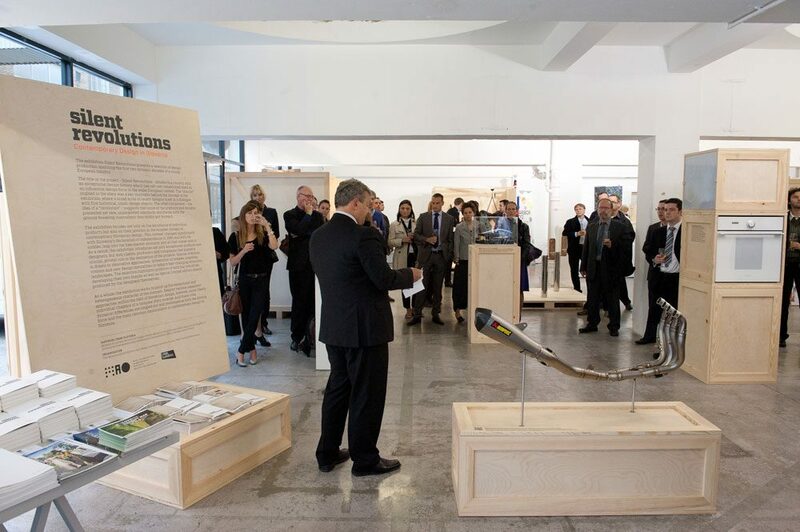 The opening was attended by a total of 250 guests, including representatives of government institutions and foreign diplomatic missions in London, designers and architects, representatives of companies, the media, design enthusiasts, and several Slovenes who live in London. 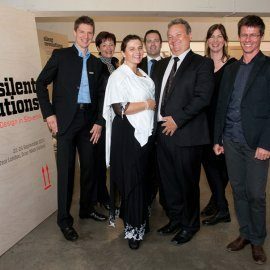 The Silent Revolutions exhibition prepared by the Ljubljana Museum of Architecture and Design in cooperation with government institutions and featured companies encompasses a selection of design projects that marked the first two decades of the existence of the Slovenian state. According to its curator Maja Vardjan, the exhibits display the passion of the individual designers, their drive, innovative development and high-quality production. The exhibition brings together products of major manufacturers with their own brands, and objects that are manufactured in small series by their designers. The exhibition does not focus only on the excellence of each individual product, but also on its status in the wider context of contemporary Slovenian design. As a part of London Design Festival and Tent London, the exhibition can be seen at Dray Walk Gallery in Shoreditch, London, until Sunday, 25 September. Next stop for the Silent Revolutions exhibition is Eindhoven, Netherlands, where it will be featured as a part of DDW – Dutch Design Week from October 22nd to 30th 2011.